Game Background Have you seen the British TV series, Misfits? Well, this is kind of like that, but in the U.S. If you haven’t seen Misfits, stop reading now. Go watch it - at least the first season, but the second season too if you have time. Even if you don’t want to play this game, go watch Misfits. Go. Watch. GO!!! Ok. Now that that’s out of the way, back to the background. Baltimore, MD can be a tough town, but it’s your town. You’ve learned how to get by, and even enjoy your life. That is, you had, until the way that you “get by” ran afoul of the law. One way or another, you ended up enrolled in Baltimore’s recently implemented “community-based juvenile justice program.” As far as you can tell, this translates essentially to heavily-monitored probation and community service. It’s supposed to be a model program or some such nonsense, but you could really care less about that. It beats being sent to a detention center, so you’ve at least tried to look like you’re complying (and maybe you even are). The program has you teamed up with a regular group of “co-workers”. You have all been working on projects together for three weeks now. It hasn’t been a good time or anything, but things have settled into an acceptable groove. At least, things had settled, until The Mr Trash Wheel Incident. Your probation officer had brought the lot of you to the mouth of the Jones Falls river, where an odd contraption called “Mr Trash Wheel” by the affectionate public uses water power to scoop up trash as it floats down the river towards Baltimore Harbor. Unfortunately, the thing got kind of wrecked when a nasty storm blew up the Chesapeake Bay and savaged the harbor. A few volunteer mechanics were working on the mechanism, but they needed some extra bodies to help out. The juvenile justice program was happy to offer your services - whether you wanted to help or not. What happened next is a bit blurry for all of you. The doctors say the trauma of the event prevented your brains from making clear memories of the incident. The authorities say… well, they say so many different things, or nothing at all, that you don’t trust their stories one bit. What is clear, however, is that something had gotten stuck inside Mr Trash Wheel during that storm. Something strange. And when one of you (Or maybe one of the mechanics? You’re not really sure) dislodged the thing from the mass of trash trapped inside the contraption, there was a flash of light. Blinding. Although no one else in the city seems to remember seeing a flash like that. But you remember. You don’t remember much, but you remember the flash. All of you were knocked unconscious. When you awoke, you were in the hospital. You all got clean bills of health and were sent home. Cops came to ask each of you questions at home - well, they were dressed like cops and they said they were cops. But the Baltimore PD has no record of sending anyone to talk to any of you, nor do they have anyone on the payroll with the names that were given to you by those visitors. And they’re tired of you asking them about it. Despite all of this, you each have more time to serve out for your probation. So now it’s back to work, just like before. Except that your old probation officer has been replaced, which is a shame, because the old one was kind of tolerable. The new one is a jerk. Oh, and the other thing that is different from before, is that you all have superpowers now. So there’s that. Setting and Characters This game will use the rules for Masks: A New Generation, by Magpie Games. These rules are based on the Apocalypse World rules (which also underpin the Dungeon World RPG, as well as others). An overview of the game system is available at this link. Playbooks (aka character classes) and Moves available here. However, this game will NOT use the usual setting for Masks. In the world of Masks, superpowers, superheroes, and supervillains have been part of everyday life for decades, at least. 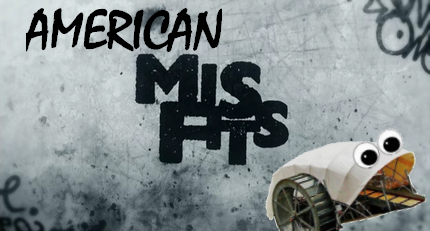 The world of this game, American Misfits, is one where superpowers are brand new, at least from the perspective of the general public. Think of this world as similar to the setting of the Marvel Cinematic Universe at the very start. Strange things may have long existed at the fringes or in the shadows, but very few people know it. Superpowers among the PCs is something brand new, something unbelievable, and something potentially terrifying. Given the information above, some of the Masks playbooks need to be adjusted. The Bull: Your powers are not the result of an evil organization (at least, not to your knowledge). Instead, your background involves some other kind of unsavory organization or individual that influenced who you are. Maybe you are/were part of a criminal gang. Maybe you were raised by parents who were anti-government fanatics that trained you to be a soldier in the coming (so they believe) civil war. Or maybe you are part of the latest karate class from the Kobra Kai dojo. Be creative. The Legacy: There are no superheroic legacies in this world. But there are plenty of other ways to be a Legacy. The most obvious is being from a rich and powerful family dynasty. But I’m open to other ideas as well. The Protege: There are no super mentors in this world. But you still have a mentor that expects great things from you and puts great pressure on you. Maybe the pressure relates to mundane life, or maybe the mentor wants to make you into a superhero even though he or she is not one. The Outsider: This playbook is mostly unchanged, but you do have to explain how you ended up with this crew of problem Earth kids. Were you with them before and during the incident - possibly as an undercover alien? Or did you join the crew as a result of or after the incident? Given the rules of the game, these playbooks cannot be used for new applicants. Character's Offense - What crime did your character commit to get put in the probation program? Character Overview - History. Personality. Super powers. Appearance. Whatever you think is relevant. What caused The Mr Trash Wheel Incident? - What does your character (not you) think caused the incident? Has your character told anyone about his or her thoughts on the subject? Want to know what you're getting yourself into? Feel free to head over to the game forum and see what it's like. The most interesting part is probably the initial scene of Episode 1. Mr Trash Wheel Mr Trash Wheel says, "Help us clean up Baltimore!" Last edited by timplausible; 02-19-2019 at 12:18 PM. Hrm. This'll be a little bit tricky - the different setting means skewing quite a lot of the playbooks, and it's a bit of a different dynamic besides. But I'm still tentatively interested. Ooh, super hero juveniles...Gonna have to try to itch that scratch! Last edited by JReid; 09-22-2018 at 09:45 AM. I have an idea for a fat husky kid turned gravity controlling or possibly a legacy... so many ideasnova... and a baby shower to attend. So baby shower first. But, interested. Last edited by hafrogman; 09-23-2018 at 11:06 AM. Character's Offense: The straw that broke the camel's back was when Harper broke into a store that specifically sold beauty products that were tested on live animals before being sold to humans, She wrecked the store and spray painted the walls with anti-animal testing slogans, 'If you don't trust it to test on yourself, why torture animals?!' Etc. Preferred Masks Playbook: The Delinquent or The Bull? Harper grew up in a rough home, her parents didn't really care about anything but the next high and they saw their daughter as a nuisance at best. An abusive father turned her into a fighter. At first, she learned how to move pretty quick to avoid getting hit but as soon as she was big enough to fight back, she learned how to take a hit as well as dish it out. Somewhat of an outsider at school and at home made her search for something that appreciated her just a little, to give her a little self-worth and she found that in animals, she would bring home every stray that crossed her path. She would bring them home and keep them out back in her father's tool shed, even going as far as to protect them aggressively when her father tried to make her get rid of them in his own way. Harper at the core is compassionate, caring and nurturing, where she learned to be like that despite her parents being useless, abusive burnouts is anyone's guess. 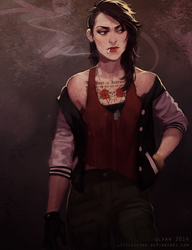 On the outside, she is rough, tough and doesn't take crap from nobody, like a female combination of Chuck Norris and John Wayne making her come off as an extreme tomboy. 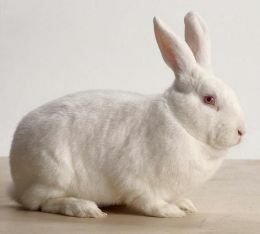 In private...she's a cuddler, especially with her three rabbits, Larry, Curly and Mosenrath. Delinquent - Teleportation and Psychic weapons. Bull - Super strength, toughness and a determined brawler. A simplified version of an old poem that spoke to her as a child once. She likes to wear clothes that aren't too tight fitting or crazy decorative, a jacket, tank-top, loose pants and sneakers. The dog tags that she wears on a simple chain are from her grandfather, she had found them in her father's stuff one day while snooping around, She hadn't heard many stories about him but the pictures that she found along with the tags gave a good idea of who he was, a good man, if nothing else, it was too bad his son had fallen so far from the tree. The scar that just barely grazes under her right eye was one of the earlier incidents when she was still too young to fight back. Your Willingness to switch playbooks: At this stage of development and with the different concept for setting, it's pretty malleable, as far as playbook goes. What caused The Mr Trash Wheel Incident? : Harper thinks she caused the accident. She tripped over a large object that was kinda glowy and buried under a bunch of other stuff. When she had finally wrested it from under the trash is when it 'went off'. She wonders if she hadn't tried to dig it up, maybe it wouldn't have done what it did. She has not told any of the others for fear that she might get blamed for it all. Last edited by Arthilian01; 09-22-2018 at 03:39 PM. UPDATE 2: i was gonna throw in a boy, but since we have more boys now, i'm excited to toss in a girl for your consideration instead! Character's Offense: She had a history of minor offenses, getting into fights and skipping school and participating in riots where things sometimes got violent. There was something in her that couldn't be quenched, a fire that burned hot and bright no matter what she did to try and sate it. If it hadn't been for all the previous trouble she'd been in, she might've been able to talk her way out of it, but being physically thrown through a shop window during a midnight riot was judged to be breaking and entering due to her record of delinquent behavior. Her home life wasn't bad. All things considered, her parents were pretty cool, even if a little neglectful and a little stupid and way too lenient. They told her not to do things, but she figured out early on that it was very easy to sneak around behind their backs, and even when they did find out she'd broken their rules, she never really got punished. As someone constantly looking for a way to push boundaries, a lack of boundaries was arguably the worst thing for her. She always had a hard time sitting still, and would often stay up late into the night and sleep late into the day or be all but unconscious the first half of the school day. She managed to pass her classes, but was constantly getting in trouble for starting arguments with students and teachers, being disruptive, and not being able to keep her mouth shut during class. She had detention more often than not, and very few friends. When she finally did make friends, they were decidedly of a less reputable type. She joined some groups online and started attending protests, caring less about what they were fighting for and more about the fact that they were fighting. It was a way to release all the pent-up rage and chaos she held inside, for no other reason than she was a teenager filled with hormones and lacking in direction. When the Incident happened and she changed — becoming tougher and stronger — it felt right, like a natural progression in her evolution. If the adults in her life want to pretend like it never happened, that suits her just fine. She'd always felt a connection with nature. The wilds were in her blood, native ancestry traced back through her mother's father's side of the family, a spiritualism that resonated with her on a deeply personal level. She loved raging thunderstorms, loved ferocious beasts, loved the idea of flying, of fighting tooth and nail. Happiness always came strongest and hottest when it was filled with adrenaline, when she could taste the chaos like blood on her lips. She loved and hated fiercely; for her, there was no in between. The Bull - Super strong, tough, and good at fighting, these powers manifesting as a clawed, wolfish version of herself. The Doomed - Superhuman strength and speed and body transmutation, allowing her to shift into a wolfish form of herself. The Transformed - Inhuman might and superhuman senses, making her muscles bulge, her skin mottled and furred, her eyes golden, and her teeth and nails sharp. 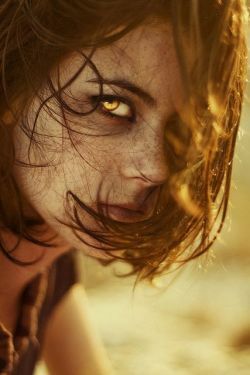 Disheveled and heavily freckled, it's her intensity that's the most striking, her muscles constantly primed for action, every tendon tight and held at the ready. Even when relaxing, she looks as though she could fling herself up at any hint of trouble. She gives an air of born into the wrong time period, pulled from a world raw and unfettered and forced to (badly) attempt to conform to the modern standards of social decorum. It's hard for her to keep her mouth shut, resulting in facial twitches, and she wears her heart on her sleeve, making her expressions very easy to read and often getting her into trouble for her "attitude." Your Willingness to Switch Playbooks: Totally willing! I think The Bull would work best, but I can definitely work with The Doomed or The Transformed, and possibly others. What Caused the Mr Trash Wheel Incident? : She thinks it was some kind of ancient tech, probably stolen or lost and dumped in the river, maybe from a museum or something. It's enhanced what she views as her natural abilities, and she figures that was its purpose. She hasn't yet mentioned to anyone her theory, though. In her opinion, what happened is amazing, and she doesn't want anything to jeopardize it. Last edited by litza; 09-26-2018 at 08:38 PM. Well, thanks for the tip, I’m hooked. That’s a cool series I’ve never played masks but I’d be interested at taking a crack at it. Character's Offense - Trespassing. Burglary (Aiding and Abetting). Specifically he was serving as lookout while some other guys broke into a electronics repair shop. He thought he had found some friends, somebody who wanted him around. But they just wanted him along for a specific reason: to outrun the cops, you don't need to be faster than the officer, just faster than the other guy. Character Overview - Hero. It's a word I heard a lot growing up, even before I knew what it meant. "Your father was a hero." Jacob David Allen Sr. was a firefighter. First responder. He was inside the north tower when it collapsed, still trying to evacuate people to safety. I wasn't even born yet. Mom packed up her bags and came back to Baltimore and her family. But dad wasn't the only hero. Turns out my family has a tradition of doing this kind of stuff. My dad's brother, Uncle Mike is still a New York Firefighter. Their dad, Grandpa David was in Vietnam, got hurt real bad saving his whole platoon. Mom's brother, Uncle Victor, he's a cop, been shot a couple of times. His daughter, my cousin Elaine is on her way to getting her EMT license. There are even more, but suffice to say both sides of the family are full of heroes. But not me, see I'm the screwup, nobody's hero. Back to 2001. My mom was pregnant with me, newly widowed and upturned her whole life, coming back to Baltimore where she grew up. She got herself a job waiting at a greasy spoon down the street. Money was tight, but leftover food was plentiful. Helped a lad grow up big and strong. Well, big anyways. My asthma's pretty bad, too. I don't run much, or play any sports. I like to read, and spend time on the computer. None of these things made me many friends growing up. By the time I hit highschool, I pretty much kept myself. Less attention that way, less trouble. That's why I was surprised when Hector and his buddies asked me to hang out with them that night. We weren't exactly friends, and they knew my uncle was a cop, which didn't exactly make us close, either. Still, I went along. Mom was always telling me I needed to get out of the house more. It didn't take long for me to figure out what their plan for the evening was. But I went along with it. Kept my mouth shut and tried to seem cool and experienced. When the alarm went off they booked it at high speed, ditching me. I was the only one caught, so I sat in that police station alone for hours. They kept asking me questions, but I had my pride. Sure Hector had set me up, his friends had ditched me. But at least I'm not a snitch. Eventually they left, and the next time the door opened it was to let in my Uncle Victor. He read me the riot act for forty-five minutes. How I was such a pathetic excuse for a nephew, how I had disgraced my father's memory. It went on and on. He yelled, I cried. When he was done he told me that he had pulled some strings to get me into this experimental probation program, and that I had one last chance to straighten up and make something of my self for once. I will say that he was right, the program has changed my life. I still look the same and I still have no friends, but I can bench press a car and fly, so... I have that going for me, which is nice. Your Willingness to switch playbooks - Sure. I can see J.D. working with a few, depending on what aspects I emphasize. Legacy and Nova are my first thoughts. Protege could work if I improved his relationship with his uncle, etc. What caused The Mr Trash Wheel Incident? - Gotta be something chemical, right? Like a gas canister got caught in there, punctured and the fumes caused us to all black out, right? That would explain the hallucinations and stuff. Not so much the other... side effects? I tried to talk to Uncle Victor about it, but he just thought I was trying to back out of the program and wouldn't even listen to me. Last edited by hafrogman; 09-24-2018 at 01:25 PM. Awesome concept. Might be able to join. If don’t have the time I will be reading up on this game. Character's Offense - B&E, Trespassing and Vandalism. Benny fancies himself a graffiti artist like Banksy, Ron English, Lady Pink or dozens of others from around the world. Whether or not he really is, is open to debate. History -Benjamin ‘Benny’ Donovan was born and raised in Phoenix MD, an influential suburb of Baltimore. His father, Strait Donovan, is a doctor, and his mother, Charlotte, a realtor. He currently attends High school at Baltimore School for the Arts with a visual arts emphasis. However, it was his extracurricular ‘street art’ activities that got him in trouble with the law. His introduction to street art began when he would see graffiti and tags on subway cars and city walls. He personally became involved with it when he started to do drawings on skateboards and T-shirts in middle school. When he was 13 his parents divorced and he went to live with his father in the city proper. However, his father who had already been a bit of a workaholic threw himself more and more into his job, leaving Benny increasingly abandoned at home. Benny turned to the streets to fill that void and achieve the attention that he felt he deserved. Personality - Benny tries really hard to give the impression that he doesn't care what anyone thinks about him or his artwork, but he just isn't that good of an actor and his insecurity continually slips through the cracks. Appearance - Benny is a 6'5" & 150Lbs, 196 cm & 68 kg or 11 stonetall gangly boy with an unruly shock of bright red hair and milky white skin that looks like it might spontaneously combust when exposed to sunlight. He tends to dress in loose fitting jeans and dress shirts, often with a mismatched vest as an accessory. He normally finishes his look with an old worn pair of combat boots. In all, it looks like he takes a lot of time trying to make it look like he doesn't take any time worrying about his appearance. Your Willingness to switch playbooks - I am not tied to any one playbook. Whatever works best for the group is fine by me. What caused The Mr Trash Wheel Incident? - It was aliens! The aliens somehow opened a portal to earth and their tech interacted...poorly with earth tech. Benny has been seeing weird stuff ever since the incident (either as a result of his doom or uncontrolled self-biokinesis) and is convinced that the reason is that aliens are trying to communicate with him. Last edited by kanly; 10-02-2018 at 10:52 PM. Character's Offense - Grand theft auto, joyriding, operating a vehicle without a permit. Character Overview - Billy’s always been a problem child, and his teachers pretty much had bets running on how fast he’d be in the system. Turns out Mr. Barkley had called it, the day the police pulled Billy out of the stolen Mercedes at the age of seventeen. Billy grew up in a normal suburban family, with one brother and one sister, but it was always too slow for him. He needed things to happen, all the time. His parents weren’t ready or capable to meet his needs and as a result, they were always running after him putting out fires. Ironically that proved even more stressful and time consuming, and it put their relationship in a sorry state they would be hard pressed to recover from. Billy had a lot of interests. Most notably drumming, skateboarding and hanging out. His interests didn’t include school, books or showing up on time. By the time he was seventeen, his father had had enough. He couldn’t wait for his son to move out, so when Billy came around asking for a ride to a gig, he simply ignored his son. This had put Billy on the spot, since he’d sort of promised his friends to handle that part of the operation, and he was looking forward to impressing this girl he knew at the venue. Using all of his lack in judgement, Billy took the car. His father used the incident to teach Billy a lesson, and filed charges against his own son. Billy resents his parents now. Not only did they betray him, having him do community service, their also responsible for him looking like a freak. Sure, his skull is hard enough to force a speeding car to a full stop, with a well placed head-but. But the likelihood that the girl from the venue will do anything else but scream her lungs raw when she sees him again, is not very high. Appearance: The ‘accident’ transformed Billy. He got a face full of the crap clogging up Mr. Trash, and it shows. His skull grew thick and his skin fell off his face creating a hard exoskeleton. His muscles and skin are stretched against it and it gives him a very intense look. Especially when he tries to smile.. it’s not pretty. He’s adapted by dressing even more punk-rock than usual, ripped jeans and studded leather decorated with band patches and tattoos wherever there’s skin free to show some. The hair he’s got left he’s made into a glorious mohawk. Your Willingness to switch playbooks - 100% willing, it’s my first time playing the game so im not biased and down for anything. What caused The Mr Trash Wheel Incident? - I’m no scientist, bad luck? Could be a government conspiracy though. Using innocent kids as unknowing lab rats seems like something they’d do. Screw the man! Last edited by PsychoDad; 09-25-2018 at 05:27 PM. I'm sorry, Timplausible but I'm gonna have to withdraw before I disappoint. I have found that I have bitten off quite a big bite of stuff with my new campaign and I'm sorry to back out like this. No worries, Arthilian. Thanks for letting me know. Good luck with the new campaign.